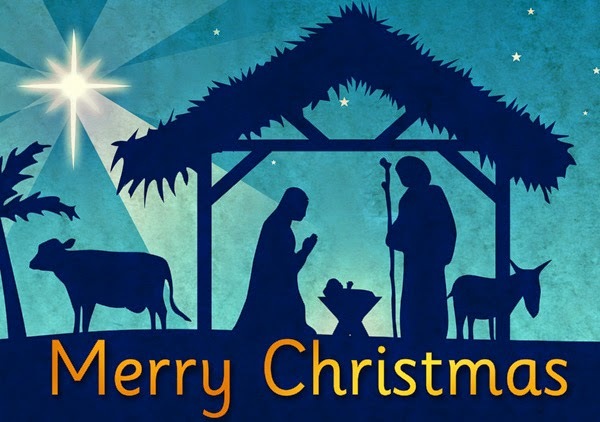 Merry Christmas from your friends at Smartphone Fanatics. I recall reading a few months ago that Oracle was going to begin "treating" Mac OS X users to adware during Java 8 installs and upgrades. I sort of dismissed it out of hand because I have been dodging scummy adware junk during software installs on Windows PCs for years. I dismissed it, that is, until I saw Oracle adware staring me in the face. Last night, as you can see from the image above, my Mac wanted to run an update to Java 8 Update 66. I almost never allow my software to auto update, so there was no way that I wasn't going to not see the Yahoo ad. I saw the screen, paused, uttered an "Oh, hell no! ", unchecked the box and clicked the Next button. I was only able to do that because I've training by years of Windows use to watch was is getting installed on my PC. Now this junk has washed up on my Mac's shore. Don't get me wrong, I like hate Java nearly as much as I do Adobe's Flash Player. And, I do like the Yahoo! Weather app that I have on my iPhone and iPad. I do admire Marissa Mayer and what she is trying to do at Yahoo! - just not that much to use Yahoo's software on my Mac. 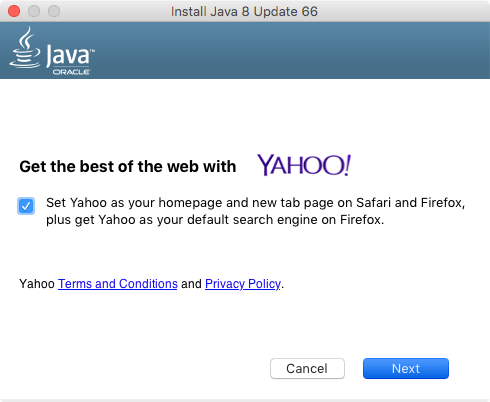 "With the latest release of Java for the Mac, Oracle has begun bundling the Ask adware with default installations as well, changing homepages in the process. The unwelcome Ask extension shows up as part of the installer if a Mac user downloads Java 8 Update 40 for the Mac. In my tests on a Mac running that latest release of OS X, the installer added an app to the current browser, Chrome version 41. (In a separate test, I installed Java using the latest version of Safari, where it behaved in a similar fashion.)" Well, at least I made it 26 updates before I got hit with adware.